When it comes to challenges when replacing Roof Top Package HVAC, look to Blackall Mechanical, Inc. 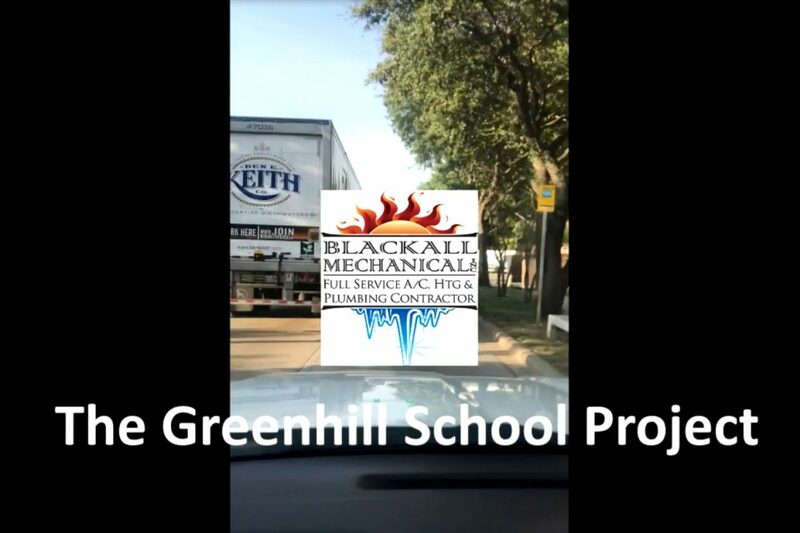 The Greenhill School Project was to replace aging HVAC equipment that was on the roof of five different buildings on campus. “ A conventional crane could have been used, however, the facilities team at Greenhill spend countless hours to maintain a very plush green manicured campus and the decision was made to employee the services of Five State Helicopter to lift these units off the roofs and place the new equipment in place, eliminating any risk of damage to the campus,” says Rodney Thornton, Sr. Account Manager at Blackall Mechanical. So if you’re looking to replace your old inefficient HVAC equipment, keep us in mind. No challenge is too big. AND, we have terms that are customized to your budget. Its Texas and its HOT fight back with blackall mechanical on your team!